The first round of Ukraine-EU-Russia tripartite technical consultations on transportation of Russian natural gas through Ukrainian gas pipelines was held in Brussels on Wednesday and Thursday, September 12-13, the press service of the Ukrainian Foreign Ministry has reported. "During the technical consultations, experts from Ukraine, the European Union and the Russian Federation discussed the key elements of gas transportation contracts applied in the EU member states, approaches to tariff formation, and the issues of reforming the management of the Ukrainian GTS in accordance with the legislation and Ukraine's international obligations under the Association Agreement [with the EU]," the report reads. 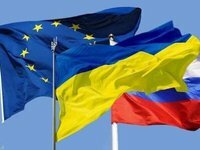 The Foreign Ministry said the Ukrainian side confirmed its interest in extending the EU internal market regime to Ukraine and the relevant work on the full implementation of the norms and rules of the European Union on the gas market. "In this regard, the participants in the consultations confirmed that relations between the economic entities of Ukraine, the EU and Russia will be determined by the legislative framework, which will fully comply with the EU legislation," the Foreign Ministry said.